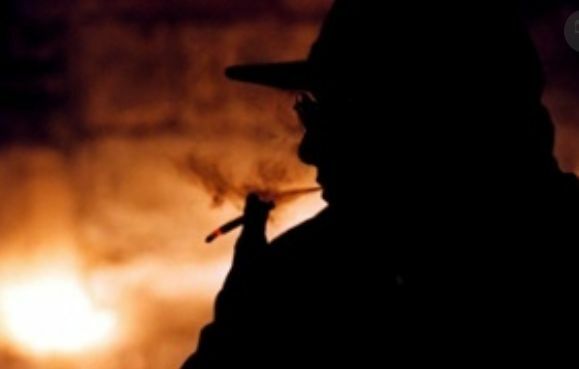 The IRA's most senior security force informer is to be investigated over at least 24 murders. 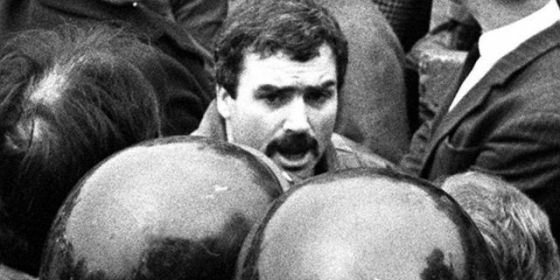 The army double agent was known as Stakeknife, a shadowy figure himself responsible for finding and killing those it believed passed information to the British security services during the Troubles. At the heart of victims' concerns is whether those deaths could have been prevented and whether collusion in murder penetrated to the top of the British Government. Freddie Scappaticci has strongly denied being the man behind the codename. A police watchdog has passed information to prosecutors after examining the circumstances of murders attributed to Stakeknife's IRA "internal security team". The Director of Public Prosecutions (DPP) in Northern Ireland, Barra McGrory QC, asked police to investigate potential offences committed by Stakeknife. He said: "I have outlined today extremely serious matters, perhaps the most significant in my time as DPP. "I have not taken the steps to commence investigations lightly but, rather, consider they must be taken to ensure that public confidence can be maintained in the office of the DPP and in the wider criminal justice system." He added a common link across a significant number of potential crimes, including murder, was the alleged involvement of Stakeknife. "I confirm today that I have requested that the chief constable investigate a range of potential offences which relate to the alleged activities of an agent commonly known as Stakeknife." Northern Ireland's Police Ombudsman is investigating the murders of alleged informers by the IRA and the potential role of Stakeknife. It passed information to the DPP, which resulted in today's announcement. Former Met Police commissioner Lord Stevens led three government investigations into security force collusion. Relatives of the victims have pressed for a fourth more comprehensive and independent probe or public inquiry. 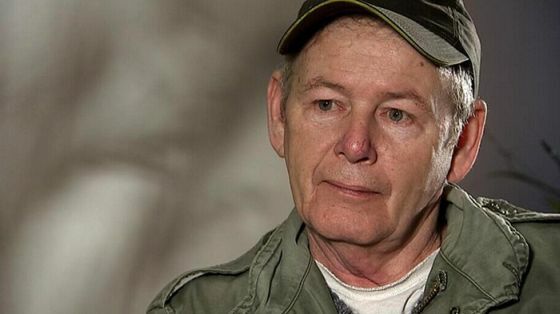 Frank Mulhern, whose IRA member son Joe was discovered in 1993 in a ditch near the Irish border in Co Tyrone with his body riddled by bullets, said there needed to be an independent investigation by an international police force. He added: "It will continue to be covered up until we expose it and put a stop to it." He said he had been pursuing the matter for many years and still hoped to receive justice. "If he (the killer) was not being protected he would be in jail now. Of course he is being protected, even a blind man can see that." Mr McGrory requested two separate investigations. "The first will be an investigation of broad scope. This will seek to examine the full range of potential offences that may have been committed by Stakeknife. "It will also include an investigation into any potential criminal activity that may have been carried out by security service agents." PSNI ACC Will Kerr said police had received a referral from the Director of Public Prosecutions which the service was addressing. "It would be inappropriate to comment further," he added. Mr McGrory said Northern Ireland's attorney general John Larkin QC had recently been in contact with his office asking what action prosecutors may take about a particular murder implicating Stakeknife. • What is the truth behind the story of Stakeknife? "I have identified one case where I consider that there is now sufficient information available at this point to review a prosecutorial decision. This relates to a case involving an allegation of perjury in 2003. "I have serious concerns in relation to this decision. Having reviewed all the available evidence I consider that the original decision did not take into account relevant considerations and also took into account irrelevant factors. "I have concluded that the original decision was not within the range of decisions that could reasonably be taken in the circumstances." The decision has been set aside and the DPP asked the chief constable to provide further material. One of the British state’s most important spies inside the Provisional IRA codenamed “Stakeknife” is to be investigated by police over a range of serious offences, including murder, while operating as an agent. Northern Ireland’s director of public prosecutions, Barra McGrory, announced on Wednesday that he had instructed the region’s chief constable to open an inquiry into crimes allegedly linked to the spy named as Freddie Scappaticci. It is understood the DPP has informed the chief constable that the police investigation should include a fresh look at up to 20 killings by the IRA in connection with the Stakeknife controversy. McGrory’s decision has opened up the possibility that the Belfast republican accused of being a key informer for Britain while running the IRA’s “spy-catching” unit could be questioned about his secret career in open court. McGrory said he had taken the decision after receiving information from the Northern Ireland Police Ombudsman, whose office investigated complaints about the police handling of murders and violent interrogations which families alleged were linked to the state agent. McGrory said: “The ombudsman has carried out a comprehensive analysis of material emanating from the three investigations carried out by Lord Stevens into allegations of collusion. A common link across a significant number of potential crimes, including murder, was the alleged involvement of an agent of military intelligence codenamed ‘Stakeknife’. “In addition, the attorney general of Northern Ireland, John Larkin QC, has recently contacted me about a murder case to inquire about any action the Public Prosecution Service may be considering. This is a case in which the same agent is potentially implicated. The DPP confirmed he was also instructing the head of the Police Service of Northern Ireland, George Hamilton, to hold a separate investigation into allegations of perjury relating to a case connected to the “Stakeknife” scandal back in 2003. Stakeknife was allegedly in charge of the so-called “head hunters”, the IRA unit that searched for, tracked down, brutally interrogated and then killed suspected informers. Stakeknife was said to command a tightly knit group of men who were responsible for the deaths of many IRA members, some informers, others who it turned out were “set up” by the agent, who were murdered, their bodies normally dumped on side roads along the south Armagh border after hours and days of torture. A number of families of IRA members shot dead as informers after interrogation by the “head hunters” have made complaints to the police ombudsman claiming that Stakeknife’s handlers in the security forces failed to use their agent inside the Provisionals to prevent their murders. Many of these families have alleged that their loved ones were “sacrificed” by the security forces to keep Stakeknife at the head of the IRA’s counter-intelligence unit where he could provide the state with invaluable insider information. Meanwhile the DPP and the Public Prosecution Service in Northern Ireland said they had agreed that each of the two investigations be referred back to the police ombudsman, Dr Michael Maguire, so he can consider if any further inquiry should be made into the actions of the police in this controversy. 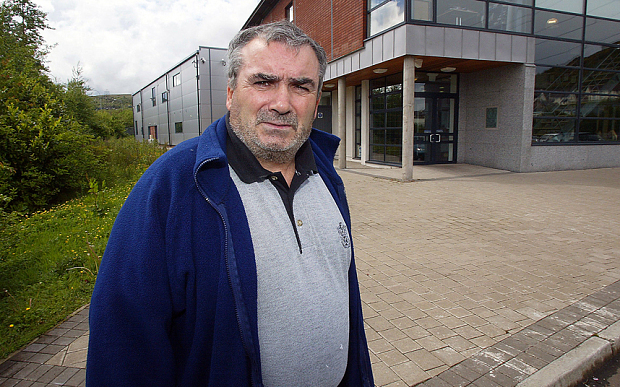 After being named as one of Britain’s key spies inside the Provisional IRA in 2003, Scappaticci left Northern Ireland. He publicly denied he was an agent. Since then he has gone to court to prevent the media from identifying where he now lives and barring journalists from approaching him for interviews. Scappaticci, the grandson of Italian immigrants now in his 70s, was said to be a “walk-in” agent who volunteered to work for the army’s military intelligence branch the Force Research Unit in the 1980s after a major falling out with IRA leaders in Belfast. An audio tape posted on the internet, allegedly from General Sir John Wilsey, who was commanding officer of the British army in Northern Ireland between 1990 and 1993, recorded that the military regarded Scappaticci as “our most important secret”. Relatives of people “executed” by the IRA for allegedly betraying the republican movement by acting as informers have begun legal action to discover the truth, as they prepare to tell their harrowing stories to an official investigation into at least 20 murders stretching back to the 1980s. The revelation in April that Northern Ireland’s police ombudsman is conducting an investigation into whether the murders could have been prevented has triggered legal claims against the Ministry of Defence and the man identified as the army’s highest ranking agent in the IRA. 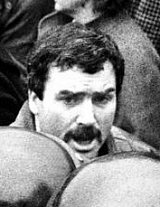 At the heart of the tortuous history of double-crossing is Freddie Scappaticci, known as Stakeknife, who fled Belfast after being unmasked as a senior IRA commander during a terrorist trial in 1991. Scappaticci was later identified as an agent for British military intelligence, but has consistently denied being Stakeknife. For decades, the victims’ families – smeared by accusations of disloyalty and reluctant even after the end of the Troubles to talk to the police – were left alone with their grief and disbelief. That their relatives may have been sacrificed to protect the army’s most productive agent – Stakeknife – inside the IRA’s Internal Security Unit, or “nutting squad”, has begun to emerge only recently. The ombudsman’s office is investigating about 300 cases of alleged collusion. The key issue is whether double agents within the IRA were permitted to commit crimes – even murder – in order to gain the trust of paramilitary organisations or sacrifice IRA members to protect their own position. • Joseph Mulhern, whose bullet-pierced body was discovered in a ditch beside a remote border crossing in County Tyrone. The IRA volunteer’s hands had been tied with wire. Three weeks later, in July 1993, his father was handed a tape of the 22-year-old supposedly confessing to informing on IRA activities. • Caroline Moreland, 34, a single mother of three, was last seen alive ironing in her kitchen. Six weeks before the IRA announced its 1994 ceasefire, she was abducted, tortured and shot dead in County Fermanagh. The family received a recording in which she admitted betraying the location of a hidden IRA rifle. • Paddy Trainor, 29, disappeared from a drinking club in February 1981. He was blindfolded before being shot in the back of the head; his body was marked by cigarette burns. His sister could not bear to listen to the cassette tape. Weeks after burying his son, Frank Mulhern said, Scappaticci came up to him. “He shook my hand and asked how things were,” Mulhern said. “He was asking if anyone was giving me hassle. “I knew he was with the nutting squad. He told me he had been up [in Donegal] where my son was being held. When he got there [Joseph] was only wearing a cross and chain – no clothes. He said my son looked really tired and ordered he be given a wash, a shave and something to wear. His father dismisses the recantation as fictitious. “I did not believe it,” Frank Mulhern said. “A few weeks earlier, Scappaticci had called around to see my son and had taken him to places where there were arms and explosives. The army later seized them. “The IRA launched an investigation. The last two people to see the weapons had been Scap and my son. Obviously Scap did not fall under suspicion but my son did. His comrades in the IRA didn’t believe it. 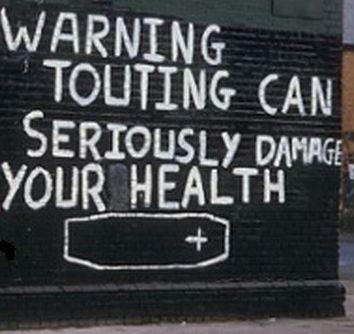 They all turned up for his funeral.” Some people nevertheless called his son a “tout” – slang for an informer. As evidence emerges, the scale of the security forces’ penetration of the province’s paramilitary organisations grows ever more astonishing. One informed source has estimated that by the end of the Troubles as many as 90% of loyalist and 50% of republican active paramilitaries had been recruited as informants. The most thorough investigation into collusion, the De Silva report into the loyalist killing of the Belfast solicitor Patrick Finucane, published in December 2012, described agent-handling guidelines for the army’s Force Research Unit (FRU) – which controlled Stakeknife – as “contradictory”. Scappaticci was allegedly not the only agent operating inside the provisional IRA’s security department. Other names have surfaced. An informer who survived an IRA execution squad, Martin McGartland, has alleged two of the guards who held him were also from “a protected species”. Kevin Winters, at the Belfast firm KRW Law, which is coordinating relatives’ compensation claims against Scappaticci and the Ministry of Defence, suspects the absence of a legal framework was deliberate. “De Silva confirmed that collusion as a state practice did exist,” he explained. “It showed there was no oversight, no protocols and the cynical view was that that allowed agents to thrive. Shauna Moreland, 30, last saw her mother ironing in the family’s kitchen in west Belfast. “My mother had trained as a nurse so if anybody [in the IRA] was injured and couldn’t go to hospital, they would be brought to her,” Shauna recalled. “I said ‘cheerio’. She gave me a hug and a kiss. I went off to my grandmother. She said ‘See you tomorrow’. She was missing for 15 days. They tortured her. I was first told it was a case of mistaken identity. I never felt the stigma because I was too young. Years later I found letters from IRA men in prison sending condolences; they knew it was an injustice. Her older brother, Marc Moreland, 34, understood more at the time. “I was heartbroken,” he remembers. “It was born into us that we were republicans. You hated the army, you hated Protestants, you hated the Brits. The IRA was meant to be on your side; they were meant to protect you. Eileen Hughes, 68, remembers snow falling the day the body of her brother, Paddy Trainor, was found. “My mother was in hysterics,” she said. “Another brother went to identify him. He said [Paddy] was covered in cigarette burns. The MoD declined to comment on the allegations. Lawyers for Scappaticci did not respond to requests for comment. Scappaticci’s whereabouts is unknown. The only informer ever to have survived an IRA execution squad has accused the police services in Northern Ireland of abandoning him to be killed. The allegations by Marty McGartland, who escaped an IRA interrogation in 1991 by jumping out of a window in west Belfast, will form part of a new inquiry by the police ombudsman into one of the most controversial episodes of the Troubles. The inquiry will focus on the role of a double agent known as Stakeknife, who ran the republican movement’s so-called “nutting squad”, or counter-intelligence section. Around 20 cases will be examined where the security forces in Northern Ireland stand accused of failing to rescue “prisoners”. McGartland’s claims that he believes two of the guards who interrogated him were a “protected species” – recruited to work for the security forces as double agents – will reinforce suggestions that the republican movement’s key departments were thoroughly penetrated by the intelligence services. Speaking from a secret location outside Northern Ireland, McGartland said: “It’s my understanding that for 15 years, first the Royal Ulster Constabulary (RUC) and later the Police Service in Northern Ireland (PSNI), sat on evidence that could have led to the arrest of both men. I have consistently said I would go as an eyewitness naming these two people as the ‘guards’ that held me in the flat in Twinbrook before I was to be tortured and then shot dead,” he said. McGartland was a former petty criminal whom Special Branch persuaded to infiltrate the IRA in the city. After he escaped the interrogation at which he belives he was to be killed, he went into hiding. He wrote an autobiography about the events, called 50 Dead Men Walking, which was later made into a film starring Jim Sturgess and Sir Ben Kingsley. McGartland had a second narrow escape in 1999 when an IRA hit team tracked him down to his home in Whitley Bay, North Tyneside. During a confrontation with an IRA gunman, McGartland put his hands over the gun barrel and sustained injuries to prevent his attacker from firing into his upper body or head. He is currently taking legal action against MI5 over the security service’s alleged neglect in protecting him from the 1999 attack and for failing to provide him with medical help in relation to post-traumatic stress disorder. McGartland’s claims form part of the inquiry into the role of Stakeknife, who has been identified as Freddie Scappaticci, a republican activist who fled Belfast more than a decade ago. Scappaticci has always denied working for British military intelligence and continues to deny being Stakeknife. Relatives of those tortured and then killed for being state agents have told the police ombudsman that in some instances their loved ones were “set up” in order to protect the identity of higher-grade informers at the top of the IRA. McGartland said he would be providing material related to his allegations to the police ombudsman, but had “little faith in anyone taking on the security machine”. The two men McGartland has named as his guards before his planned execution are veteran republicans who at one time were part of a security team protecting the Sinn Féin president and former west Belfast MP Gerry Adams. 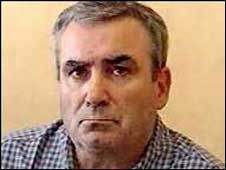 In 2003, when the Stakeknife story broke, Michael Flanigan, a solicitor for Scappaticci, threatened legal action over allegations that his client had operated as a spy at the heart of the IRA. Scappaticci confirmed at the time that he had been involved in the republican movement but had since left. Frank Mulhern's solicitor Kevin Winters, who is representing a number of victims' families in civil cases against the alleged Army agent, the Ministry of Defence and the Chief Constable, is urging more people to come forward. Joe Mulhern was just 22 years old when he was abducted by the IRA. He was accused of passing information to Special Branch, interrogated for 10 days, shot and his body dumped near Castlederg, Co Tyrone. No one has ever been charged or convicted of the murder. Six weeks after he was buried his father Frank – who first spoke to UTV’s Insight programme in 2013 – said Freddie Scappaticci, who at the time was alleged to be a senior member of the IRA's internal security unit, told him about his son's murder. This page was loaded Apr 22nd 2019, 10:25 pm GMT.